As a manufacturer, you might be interested in new technology or equipment, but it’s the people on the floor who will push those changes. A culture of continuous improvement will incubate good ideas and necessary improvements in a way that a room full of machines is incapable. Organizations that embrace and encourage continuous improvement culture, focus on employee development and training. In this way, changes are owned and sustained by a team that believes in progressing toward positive growth. Additionally, a culture of continuous improvement embraces quality and the processes that ensure it. 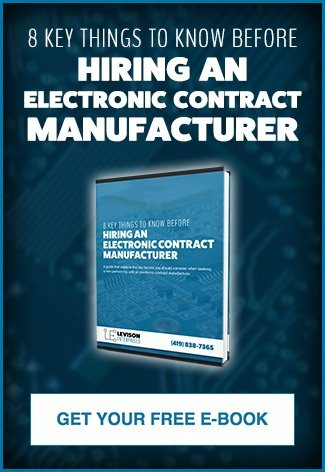 Manufacturing partners expect their electronic contract manufacturer to embrace both continuous improvement and quality. Those that meet these expectations participate in transparent methods that protect quality and continuous improvement. Two of the more common methods are internal quality audits and the Plan-Do-Check-Act cycle. In an Internal Quality Audit, the electronic manufacturing service is accountable to no other entity but itself. The audit will be performed by an outside organization, contracted for this purpose, but without any vested interest in the findings. Though it may be used to prepare for a certification audit, the Internal Quality Audit is a procedure that ensures the EMS is continuously seeking to identify gaps in policies, procedures, and other potential areas for issues. An Internal Quality Audit could be testing specific areas of the EMS’s operation, such as risk mitigation, accounting, or documentation. It could also be looking at how the EMS performs against its own internal procedures. Regardless of the purpose, the Internal Quality Audit is done with the intention of measuring strengths and weaknesses against internal safety, security, and quality procedures. Once completed, an Internal Quality Audit is likely to include requests for corrective action. These requests identify nonconformities, defects, and other situations that, though small, could lead to major problems. This is where the audit and continuous improvement intersect. Finding and taking corrective action against nonconformities is an opportunity to eliminate the root causes of a problem so that it does not have a chance to become a major problem. A quality electronic manufacturing service does not want these problems first because it will impact the work they produce for clients. Second, minor and major problems must be rooted out quickly to maintain important industry standards such as the International Organization for Standardization (ISO), the Statement on Standards for Attestation Engagements (SSAE), Generally Accepted Accounting Procedures (GAAP) and AS9100. In addition to keeping momentum behind continuous improvement, an Internal Quality Audit helps reinforce a culture of quality throughout the organization. This cycle is part of the AS9100 quality assessment, but more, it’s a simple four-step model to drive change. Like any good circle, the PDCA method has no end, just like continuous improvement. It includes planning, testing, studying, and enacting to drive process improvement. A culture that repeatedly takes on PDCA cannot become complacent or ignore ongoing issues. The continuous nature of the model substantially increases the likelihood of safe and high-quality products that exceed customer and regulatory standards. In this step, the problems and risks are identified and accounted for and a plan is put in place for what is going to be done about them. No guesses or assumptions are allowed in this stage. Everything is based in fact and is specifically noted. Now it’s time to enact the testing plan. Solutions are tested, possibly with pilot projects or prototypes. Data is gathered to demonstrate outcomes and to prepare for the next step. Did the testing create the desired outcomes? Were the problems actually resolved? What do the people running the tests experience with the solution? What might be done differently next time? And then, lots and lots of ‘why’ questions. Were the problems solved? Why or why not? Did the test reach the desired outcome? Why or why not? Etc. This questioning and study of the data drive improvement for an electronic manufacturing service. 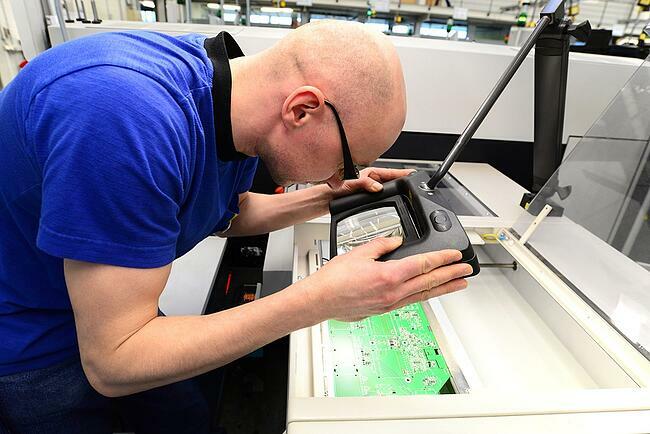 It pushes the electronics manufacturing service toward another level of quality standards. This is the very reason AS9100 requests this approach. Finally, changes are implemented in the act stage. In a situation with a small or isolated issue, this may be the end of the process. But, in regard to continuous improvement, it’s really only a single cycle in an ongoing quest for improvement. Solving small issues or this round’s findings serves as a launch point for rooting out additional opportunities for growth and development in the next cycle. This phase is also sometimes called the “adjust” phase. In some cases, an action might be taken to optimize a process and then monitored for ongoing problems. In the adjust mindset, changes can be made as they are needed, driving continuous modification and review until the outcome is achieved. Plan-Do-Check-Act and Internal Quality Audits are only two ways an EMS might invoke a culture of continuous improvement to underscore the value of a quality product. Regulations and quality standards are must-haves in the electronic manufacturing world, but the processes for obtaining these certifications may be even more important to the client and the product they produce. A culture of continuous improvement drives these processes, but ultimately, people within that culture will reach beyond the confines of even the most robust continuous improvement process. The creative and quality-driven minds of people will always do the greatest work in extending continuous improvement. Levison Enterprises thrives under a high-quality culture of continuous improvement. Not only do we hold all the highest external quality standards, we regularly engage in internal quality processes like the Plan-Do-Check-Act cycle and Internal Quality Audits. Contact Levison Enterprises for a free quote and to see how our continuous improvement culture can bring the highest quality to your project.